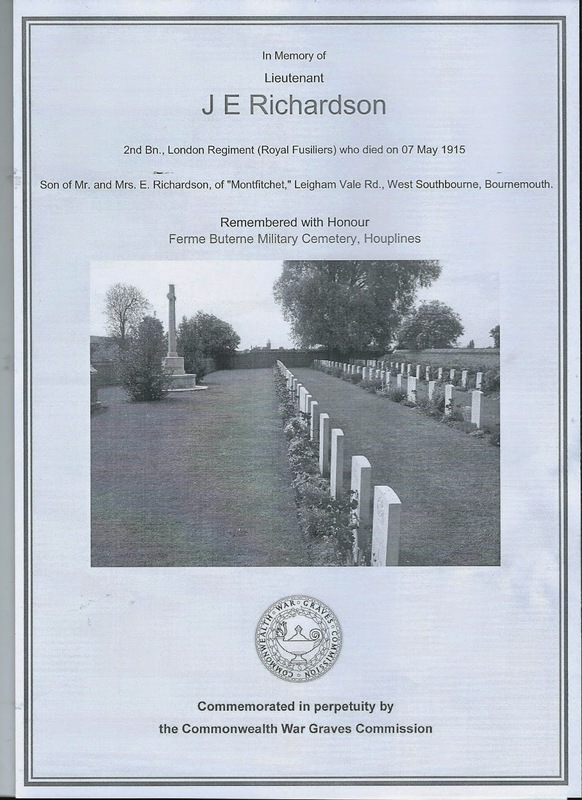 This is the second, and final, blog recalling the experiences of local couple, Jack Richardson and May Larby, as they meet in 1913 and engaged in a relationship that was to end prematurely, with Jack's death, in France in May1915. The blog is based on a recently self published book by local author and publisher, Paul Holloway, which consists principally of the letters from Jack that his grandmother (May Larby) kept, during the less than two years of their relationship. Details of the book, and its availability appear in the footnote, below. The first half of the story (see here) told how Jack, the son of Shaftesbury Road Elementary school's headmaster and May, daughter of a local police constable, met in 1913 and how their relationship blossomed over a shared interest in the arts. As war loomed, they each volunteered for appropriate service and the correspondence plotted their progress to conflict. 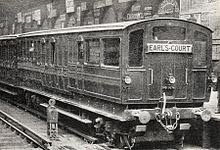 The previous episode ended with Jack's departure to France, on 17 March 1915, some nine months after volunteering for action, and eight after the outbreak of hostilities. The reality is, however, at this time, the average allied forces' officer only survived six weeks on the front line, before death struck - Jack managed seven. Jack, like most of his contemporaries, could not wait for action, and was frustrated at the delays he had experienced. He viewed the prospect of the front line, if not with relish, certainly with eager anticipation. It is now mid March 1915, and Jack's first letter from the trenches is received. For understandable security reasons, the exact location is not identified. The tone is cheerful. Clearly the war is on, work is to be done, but all seems well. "We stay here in the trenches 4 days and then have 4 in the billets. The latter are quite nice and we live in comparative luxury, although the shells come quite close and knock the corners off houses and break windows." "There is very little danger here and I am thoroughly enjoying myself. The business doesn't seem nearly so horrible now that I am here. I'm in that frame of mind which is prepared to take the whole thing as a game, and a good one too." The message by 23 March is still upbeat: "We had a 'working party' too last night and in front of the trench parapet throwing up earth to strengthen it. It's rather exciting for the enemy send up rockets and star shells and light up the whole scene. Then we have to drop down until everything is dark again. However there isn't much real danger and its jolly good exercise." But the mood soon changes. The next day's letter reports: "The trenches are some 4 or 5 inches deep in mud and you can't distinguish the shape of our boots for the mud round them and my puttees are caked in it up to the knees". "However, none of us will be sorry to see the end of the war - this life is jolly interesting and exciting for a time, but after a few months I should think it becomes well nigh unbearable and monotonous". "Here and there is a house with great holes in the walls or roof, where a German shell has landed; and the Town Hall clock looks down on you with half its face blown away. It is, at night, absolutely a town of the dead - a city of dreadful night and the guns boom all the time"
"I have never felt death so omnipresent before ... We shelled the Germans as they left the town a month ago. There was house to house fighting, to force them out, and the fields outside must be sown with corpses. May, the war must end before the summer. And everywhere, during the day, outside the town where we are in the trenches it is one incessant scream and whistle of bullets and shells and at night absolute silence between the booming of the heavy guns and the bursts of rifle fire and the machine guns." And then, for a while, the letters are less graphic. Perhaps conditions improved, more likely Jack did not wish to depress May with his observations. But the letters kept coming, reflecting once more on their shared cultural interests, or often detailing the more mundane aspects of life in a foreign country. That, and hopes for the future, when the two long for their reconciliation, that tragically will not occur. "As a result I am now in hospital for a day or two, in order to get my hand cleaned of the grit and little splinters ... I expect to be quite capably left-handed again in a day or two.... At present of course, my hand has a plum pudding appearance, but in all I should think there is hardly a dozen small cuts and scratches, though much bandage." His hand is still recovering five days later, but Jack is still able to show what a small world even that of warfare is, when recounted to May: "I met an old Shaftesbury Boy in the street here - in the RAMC (Royal Army Medical Corps) - and he tells me that Hudson (do you remember him at the Tech?) is in billets in the town. I am going to seek him out." Jack was put on the "Casualty list", as a result of his hand wound, but tried, in vain, to have it removed from that list; because, as a result of the listing, the War Office sent May a telegram, informing her of Jack's injury. He was not amused and tried to minimise the significance of the wound, in what turned out to be his last, undated, letter to May - from the trenches. He was, of course, completely unable to predict his final demise, but the closing paragraphs of his last letter almost seemed designed to offer reassurance to May, in what are clearly extremely difficult conditions "Yesterday night the Germans managed to drop three shells, out of some fifteen fired, into our trench, but the damage was slight and there were no casualties. These are awfully good trenches and will stand any amount of shell fire. "While the weather lasts, I think, on the whole, I would rather be in the trenches than in billets. I scarcely ever sleep comfortably in town because I expect to be called up with an alarm every night I hear the gunfire; here the guns boom all night, and one doesn't notice it." "My beloved, these days of sunshine make me feel only a matter of weeks or a month or so before I see you again - I dream of it at night"
Sadly, it was not to be. 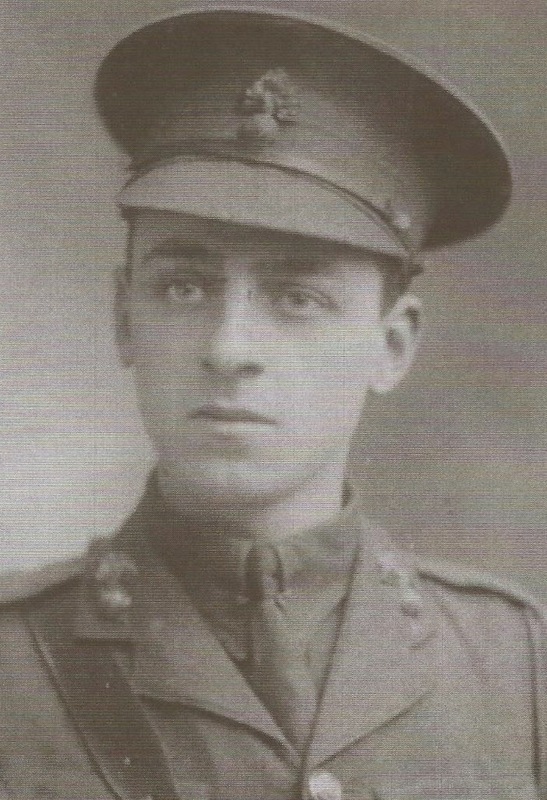 On Sunday 25 April 1915 Jack was wounded having been reconnoitring in front of his trench, at night, with his sergeant. He died of these wounds on Friday 7 May 1915, aged 22. Thus, a young and local life, with someone with hopes and real aspirations for a bright future came to a tragically premature end. It was the fate of 16 million other young men of the age, in the 'war to end all wars', which effectively recommenced just 20 years later. , Houplines - 2 kilometres from Armentieres. May later married, Richard Williams, and had four children. She became a successful mathematician, was awarded a CBE for her contribution to maths in education and died in 1986, aged 91. But the memory of that brief affair linger with her till the end - 70 years on; individual testimony to the lasting grief that the 'war to end all wars' brought to so many. Footnote: There Are No Flowers Here - Collected Letters of Jack Richardson, published by My Fat Fox priced £9.29 (inc p&p), from Amazon. 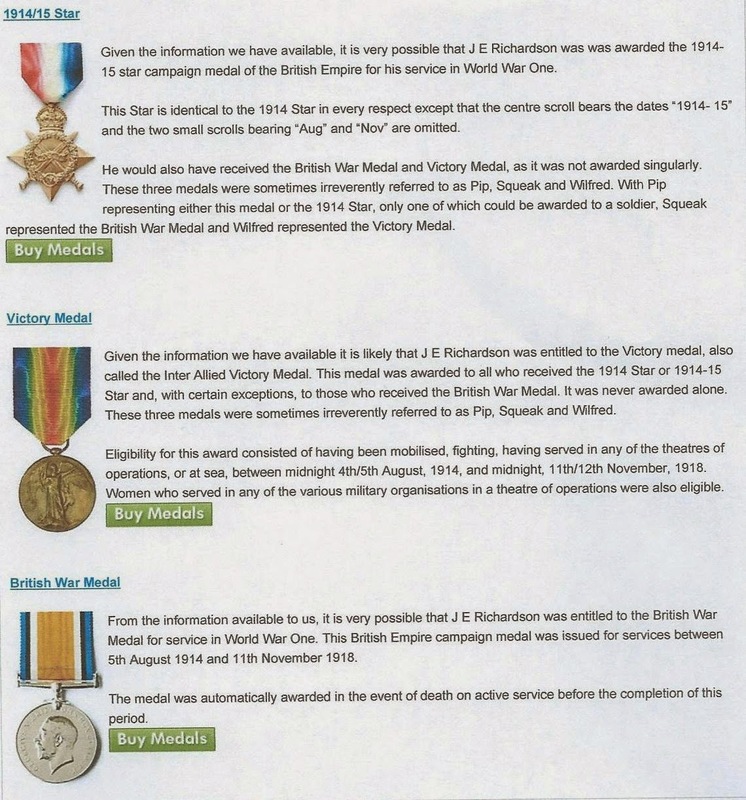 We are most grateful for Paul for permission to run these extracts and recommend his collection of letters to you - they put local flesh on the bones of some of the raw data that is published about World War 1. The centenary of the outbreak of World War 1 is with us, and we hope, over the coming months, to record how the war impacted on Forest Gate and some of its residents. Behind each statistically-laden story of horror there lays the reality of ordinary lives transformed forever, or cut cruelly short. One such graphic account has recently been published by Forest Gate resident, Paul Holloway, There Are No Flowers Here, which we will be retelling over two episodes of this blog. It is the story of his Forest Gate grandmother, May Larby, and her brief romance over the 1913 - 1915 period with Jack Richardson, the son of the headmaster of Shaftesbury Road Elementary school. It tragically concludes with Jack's death on the battlefields of France. Jack lived at 296 Katherine Road and May at 28 Lansdown Road. The school and two houses within a quarter of a mile of each other, in Forest Gat. May kept Jack's letters, many of which are personal, detail the day-to-day reality of life and trace the ever-deepening nature of the relationship. Others, however, record the build up to mobilisation, from the perspective of one bright, ambitious, patriotic young man, the enthusiasm to go into battle. Then later, the grim reality of life in the trenches in this 'war to end all wars', which scarred the memories of a generation. May kept the letters, as her lasting memory of the man she loved, and her daughter, Elizabeth Holloway, carefully transcribed and prepared for publication almost 80 years later. Now, unfortunately after Elizabeth's death, her son, Paul has negotiated his way around the pitfalls of self-publishing to produce this touching story. Details of the book, and how to obtain it are found in the footnote. 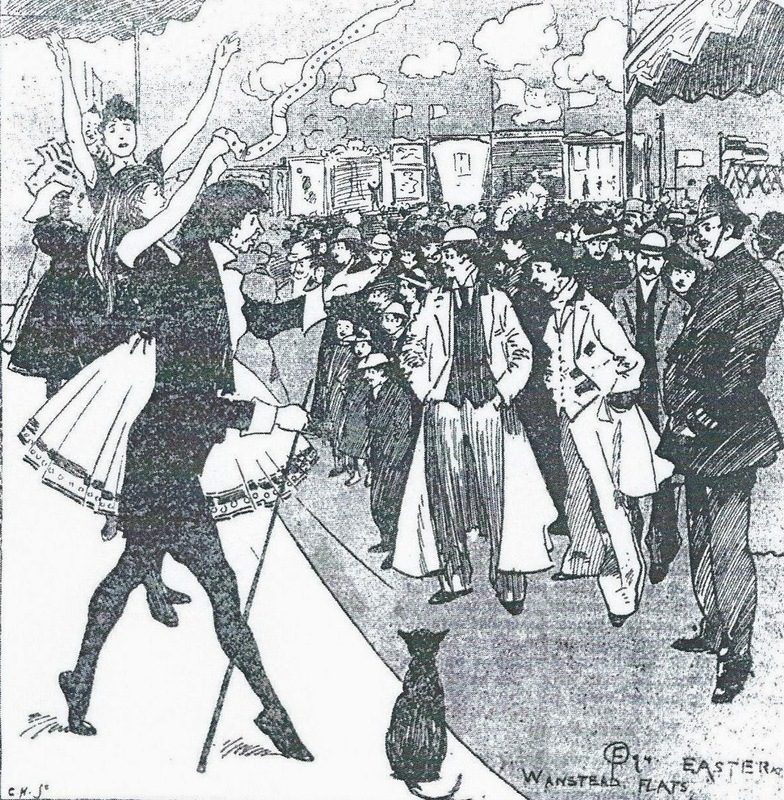 This episode of the two-part serialisation traces the emergence of the romance and its impact on these two Forest Gate residents, until he point at which Jack is despatched to France, and his death. In 1913 John (Jack) Richardson was the 20 year-old son of the headmaster of Shaftesbury Road Elementary school. 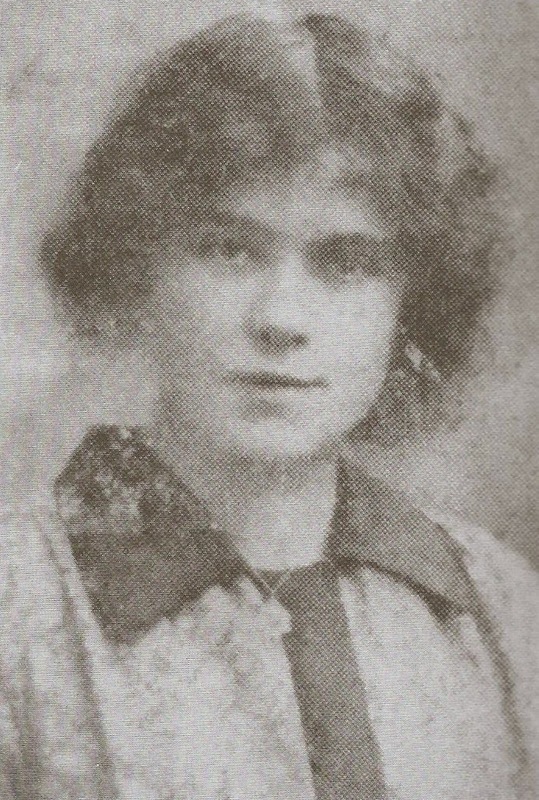 May Larby was 18, and the daughter of a local police constable. (By the end of the war, Jack's parents had moved to Hampshire).They were both very bright, university students, with a wide range of interest in the arts. A chance meeting on the Tube, on a train from Upton Park to central London, developed into a regular rendezvous, and then correspondence, that ended with one fateful letter from a French trench, in 1915. Many years after Jack's death, May wrote a memoir, which, unwittingly, provides an introduction to the collection of letters and provides a context for them. In this she recalls the chance encounter with Jack in 1913, while she was on her way to a morning session at King's College, London, where they were both students; he studying English and she mathematics. Such was the success of this meeting that they engineered to meet up regularly, each week, to continue with unfinished conversations on arts, poetry and matters of the moment. These meetings lead to visits to art galleries, museums and cathedrals where May's appreciation of the arts, history and Christianity was broadened. The couple's relationship blossomed and developed into assignations at each other's Forest Gate houses. As the spectre of war loomed, in 1914, the pair took the 'Be Prepared' slogan literally; May joined the Voluntary Aid Detachment, with a view to taking up nursing, at the front, in the event of hostilities, and Jack joined the University Officer Training Corps. By the end of July he was camping, and training with his detachment, on Salisbury Plain. When war broke out, Jack was commissioned in the City of London Regiment, based in Westminster. He trained and waited for despatch to the front. Meanwhile, May graduated (as a 19 year-old) and was awaiting the start of her teacher training course in January 1915. Jack's first letter is dated July 1913, and is sent from his home at 296 Katherine Road. It, and the next 16, sent over the following year, sent from the same address, record the couple's shared, and growing mutual interest in a wide range of the arts. From July 1914 the originating address, and the tone of the letters changes. They are from the army training camp, which is "perched on the slope of a hill on the very edge of Salisbury Plain". At first they are all very mundane, with unexceptional descriptions of local conditions and circumstances: "The regularity of the life, inspections, parades, drills and field operations has the effect of breaking off the flow of ordinary life and it seems literally months since I came here. I have seen no books or papers since Saturday and I have only heard of war and rumours of war". Many of the letters, unfortunately are undated, but Jack seems to have been deployed into the 2nd City of London Fusiliers by the start of 1915 and is based in Epsom, he is positive and almost itching for action: "Everything here is splendid and there has been no trouble at all. We see very little of the Colonel and Major Hogan is practically O.C. (officer, commanding). The officers are splendid fellows and I expect a good time". By February he has a substantive post, as second in command in a company. Some of the grim realities of civilian life, that the war flushed out are beginning to strike him. The poor educational and physical state of many working class men who volunteered was noticed and became a concern for the army's high command, perhaps for the first time - and was something many post-war reforms were designed to address. Jack had his own experience of this. 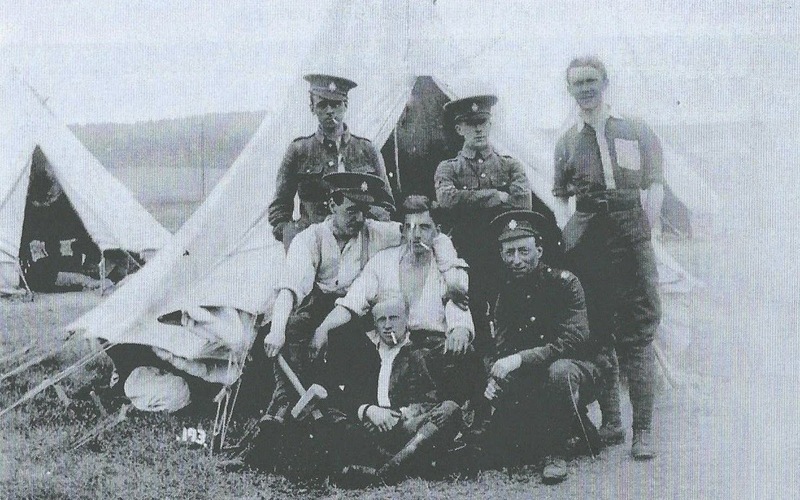 Hence in February 1915, he writes: "The other officers are jolly decent fellows and keen - the men are the worst I've seen - some are almost cripples and some, I think, mentally deficient, still I suppose there are enough decent ones to get on with." In common with most of his comrades, Jack could not wait to get into combat, and so play his part in bringing the conflict to an end. In an undated letter, Jack had bad news, from this perspective, for May "The very worst happened last night. About half past nine, just as I had finished packing, the doctor hauled me up for a medical exam and failed me on account of my heart". A little (unspecified) time later another letter had better news: the Captain assures me that "I shall go abroad right enough so I am considerably bucked ... What a thing it would be aboard a ship ... with a further chance of going to France!" 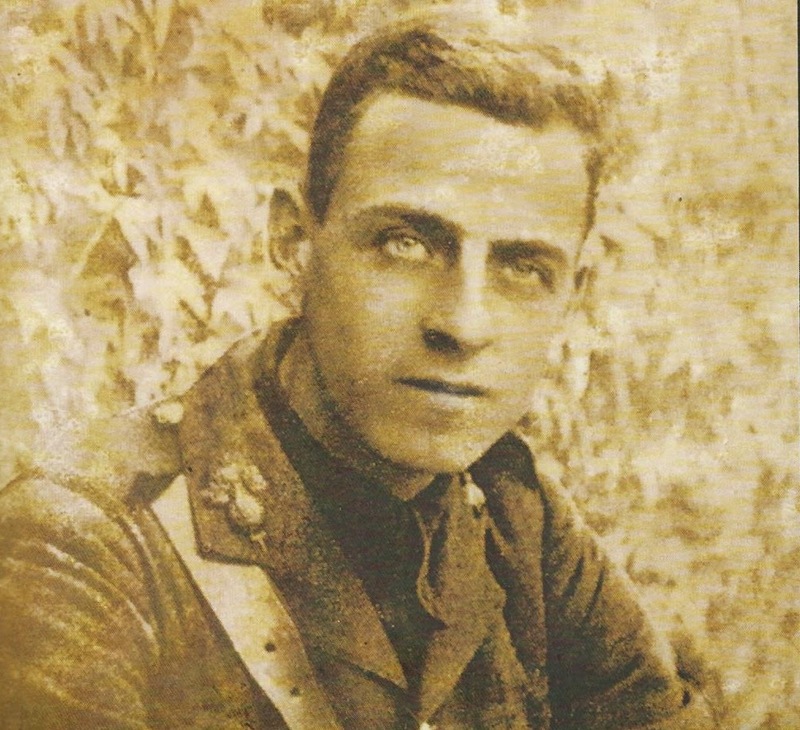 Then, a number of items of correspondence from Jack, expressing his frustrations as bureaucracy seems to shuffle him around army units, with no front line action in sight. 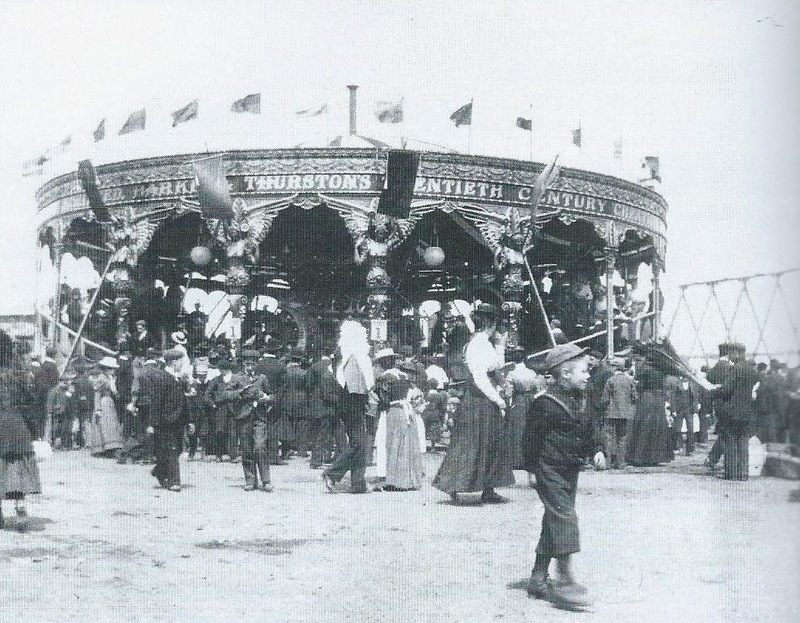 By March 1915 (nine months from his original volunteering for duty), Jack is stationed in Epsom and is taking riding lessons, in preparation for an overseas posting. His disappointment at inaction seems to have abated "life here is splendid and I feel absolutely fit." An undated letter or two later, comes the message "You will be as surprised as I was to hear that I am likely, as things stand now, to be off to France in a month or less." Then, the note of resignation, based on bitter experience: "Of course everything may and probably will be altered again but the chance is here and things begin to be exciting." And so it is, by the next letter the message "Here I am safely on board the boat and ready to sail tomorrow ... The boat is fine and we (as officers) travel 1st class as I myself have a cabin .. Comrade, goodbye and au revoir. My love, good luck and fitness be yours till I come back. Sweetheart, I kiss you farewell." We are most grateful for Paul for permission to run these extracts and recommend his collection of letters to you - they put local flesh on the bones of some of the raw data that is published about World War 1. 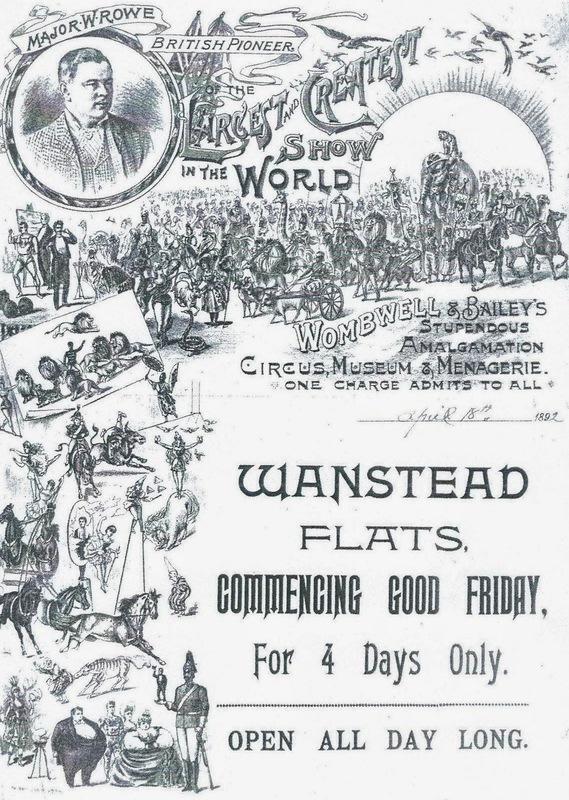 A fascinating booklet, recently published by the Leyton and Leytonstone Historical Society, records Wanstead Flats' intriguing role as a Prisoner of War (PoW) camp during World War 2. The article that follows is based on the booklet, for details, see footnote. Wanstead Flats played a number of key, strategic, roles during the Second World War, including housing anti-aircraft batteries and barrage balloons, as well as being an important assembly point, prior to the D-Day invasion of June 1944, whose 70th anniversary has recently been commemorated. The Flats were also home to a large number of PoWs during the war, initially mainly Italians, and later, mainly German. Although the exact details are sketchy and difficult to determine - certainly from official documents, many of which were, for understandable reasons, classified. 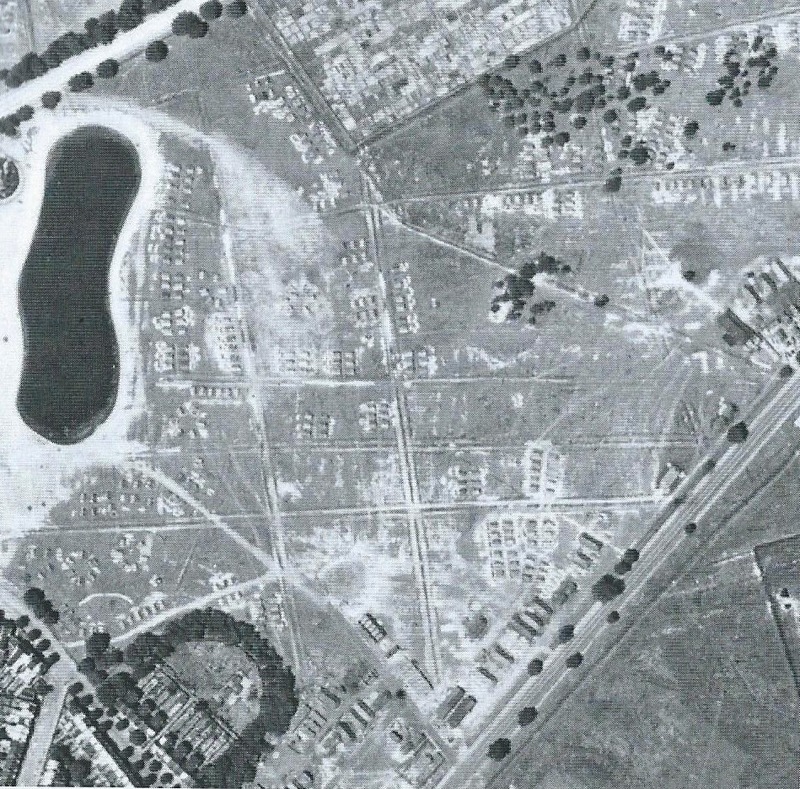 The main location of this PoW camp was within the triangle boarded by Centre Road, Lakehouse Road and Dames Road, now more familiar as the fairground site, near Jubilee Pond (see detail from contemporary RAF aerial photo). 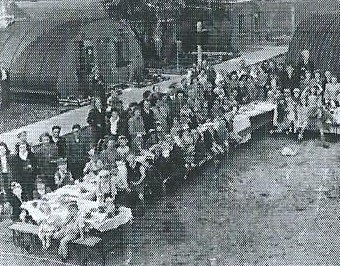 Some older local residents remember Italian PoWs being held there from December 1940, following the Allied North African campaign, during which upto 100,000 Italians were taken prisoner. 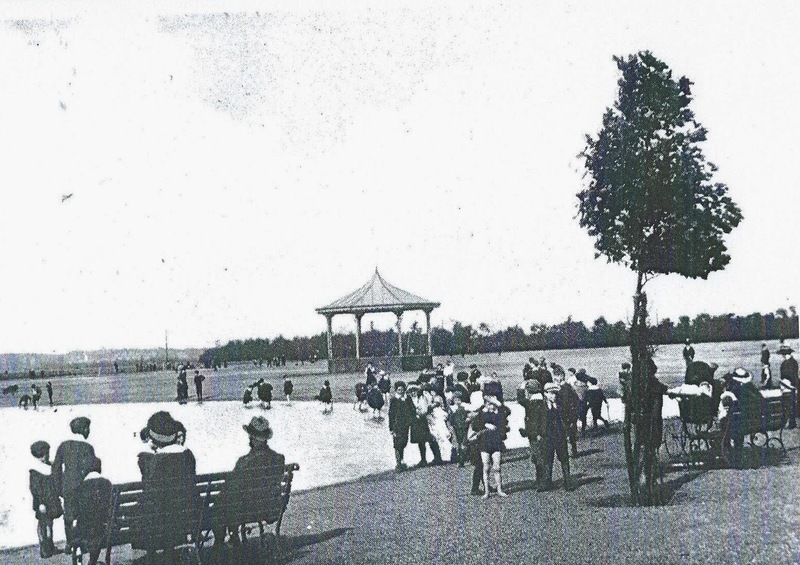 One local resident, according to the booklet, recalls bus trips to see them on the Flats, early in 1941. 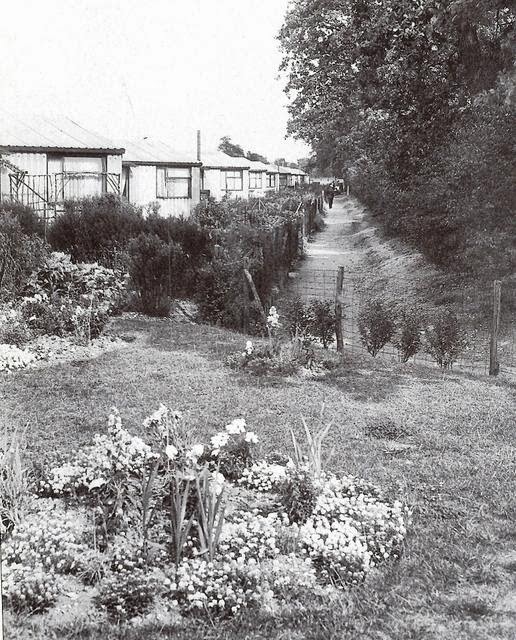 Prisoners were initially housed in Nissen huts (see photograph), while others were held in tents on Tower Hamlets Road, following bomb damage to the area. 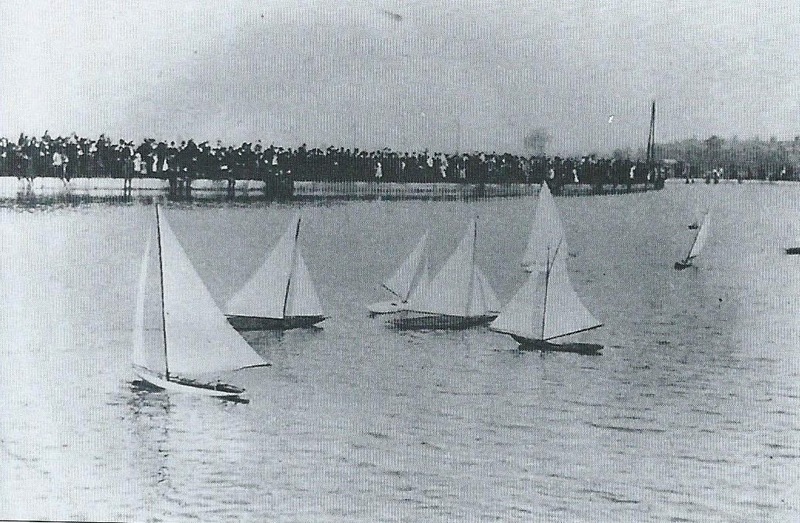 Another local resident recalled going to the pond at the Flats every Sunday, to feed the prisoners, most of whom were described as being "very cheery and talkative". 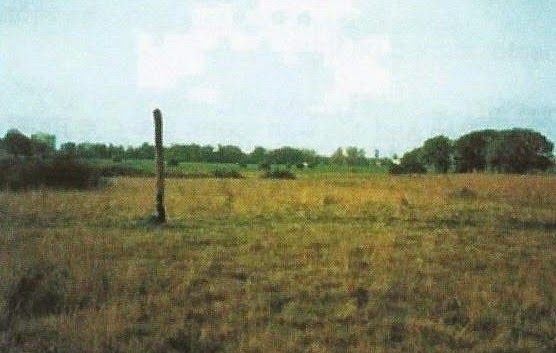 Evidence of the Italian PoW presence on the Flats survived until the 1990's in the shape of what had become known as "The Italian Goalpost" (see photograph from here, with thanks). 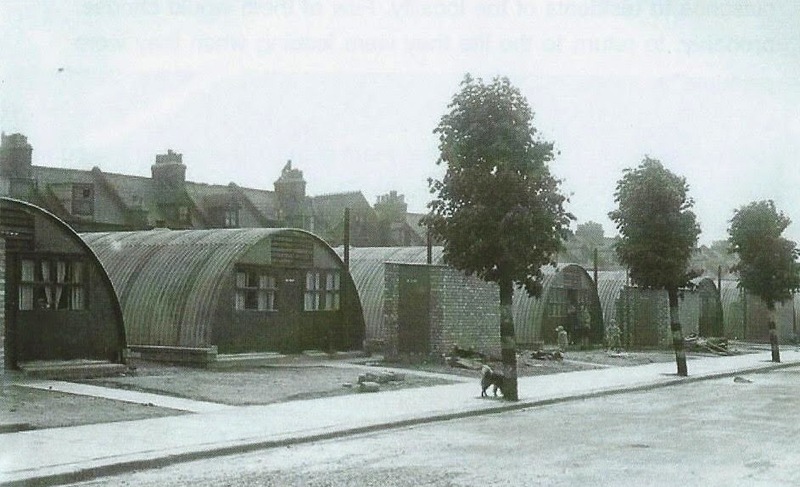 According to The Newham Story, there was also an Italian PoW camp on Whipps Cross Road (see photo), and possibly another on the site of what is now Forest Gate school, in the early years of the war. After the Allied invasion of Europe, in the summer of 1944, many thousands of Germans were captured and held prisoner in hundreds of camps, throughout the UK - including on Wanstead Flats. Many continued to be held there until 1946. 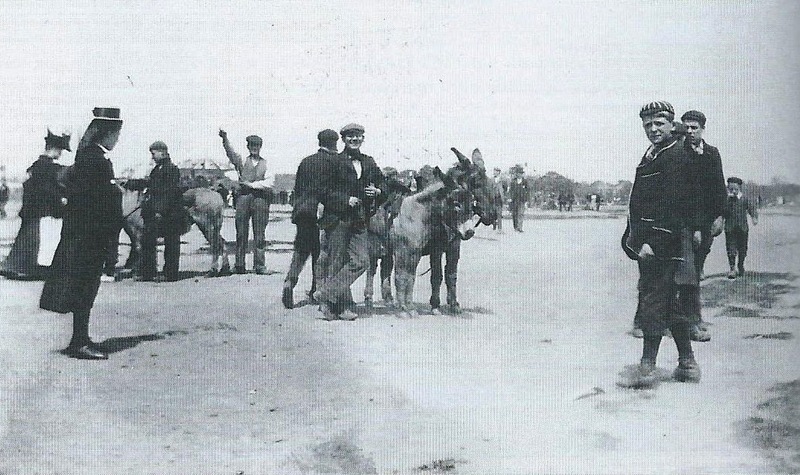 The Italian prisoners who were still held there began to enjoy greater freedoms from this period. Italy had surrendered from the war the previous year, although it was a further two years before all of their prisoners were released and repatriated. They were, in the interim, as a consequence, given more freedoms: to visit local people in their homes and go to church and the cinema etc, unaccompanied. German prisoners seemed to dominate the camp, numerically, from this time. The Stratford Express, however, reported hostilities between prisoners of different nationalities breaking out, in 1944. 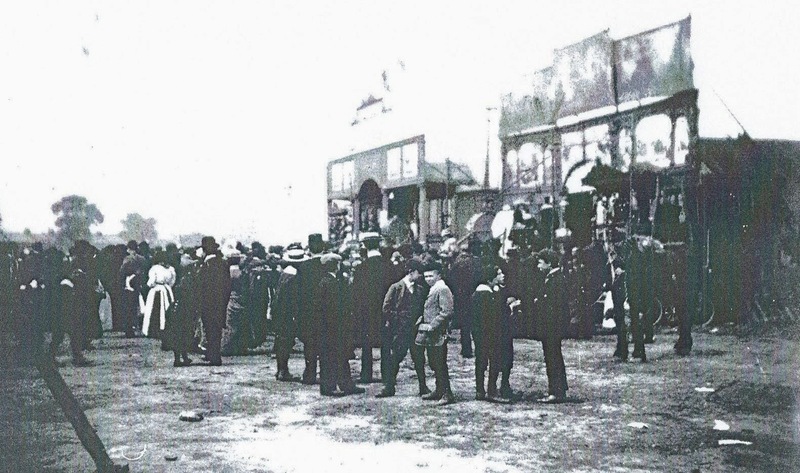 The report also described community singing by the prisoners in the floodlit camp, at night. 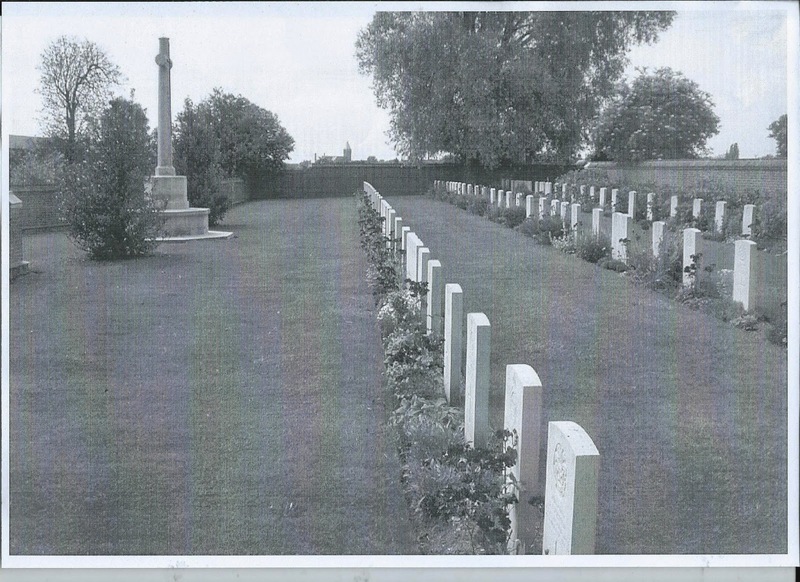 The camp was surrounded by a wire fence and patrolled by members of the Home Guard; but security was hardly severe. No details exist of any escape attempts, successful or otherwise. 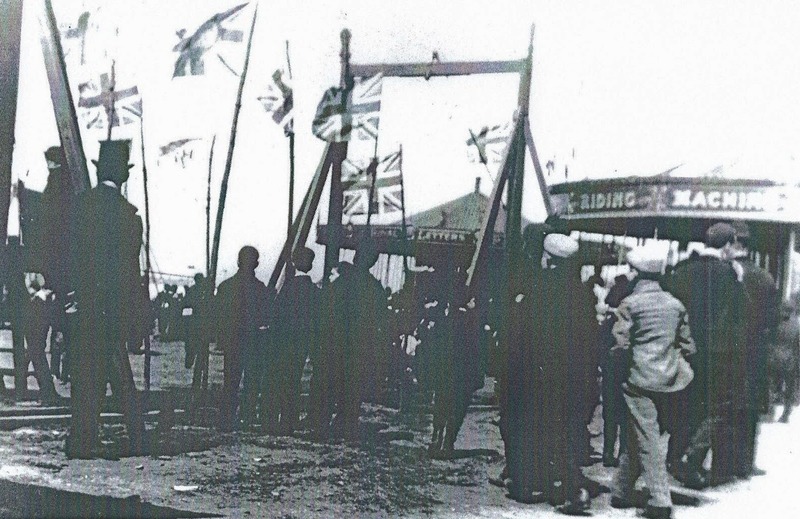 The original 60-feet long Nissen huts were unable to cope with the increased demand brought about by the influx of German prisoners, so upwards of 200 bell tests were erected on the Flats to accommodate the increased numbers. Few official records survive, or are accessible, about the Wanstead Flats camp, which was, in fact a satellite of the larger Camp 30, on Carpenter's Road, Stratford, where more than 1,500 German prisoners were held from 1944. Among the few surviving details is a response from the Minister of War to concerns from local MPs, whom he assured (in 1944) that the facility was a temporary one, which would be closed by the end of the year (it wasn't). There were still at least 10 German prisoners there, as late as July 1946. There was some attempt at the "political re-education" of prisoners, particularly those assessed has having very pro-Nazi sympathies. Unfortunately no records seem to exist detailing how the prisoners found the conditions and their treatment within the camps. 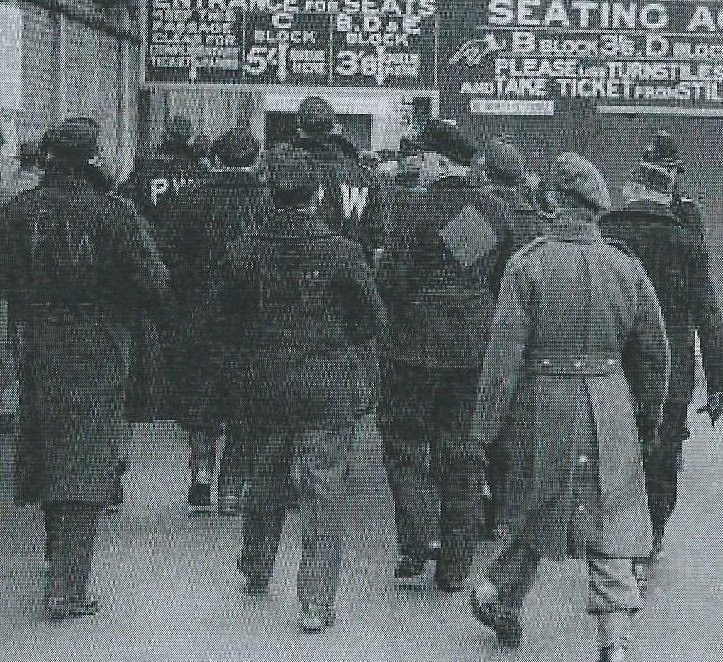 Many of them were employed, locally, on work to rectify war-related damage, such as clearing up bomb sites, and constructing prefabs for East Enders displaced by the Blitz and later V1 and V2 raids (see future blog for details of this). Unfortunately, we have no details of how and when the camp was decommissioned and the last accommodation removed. 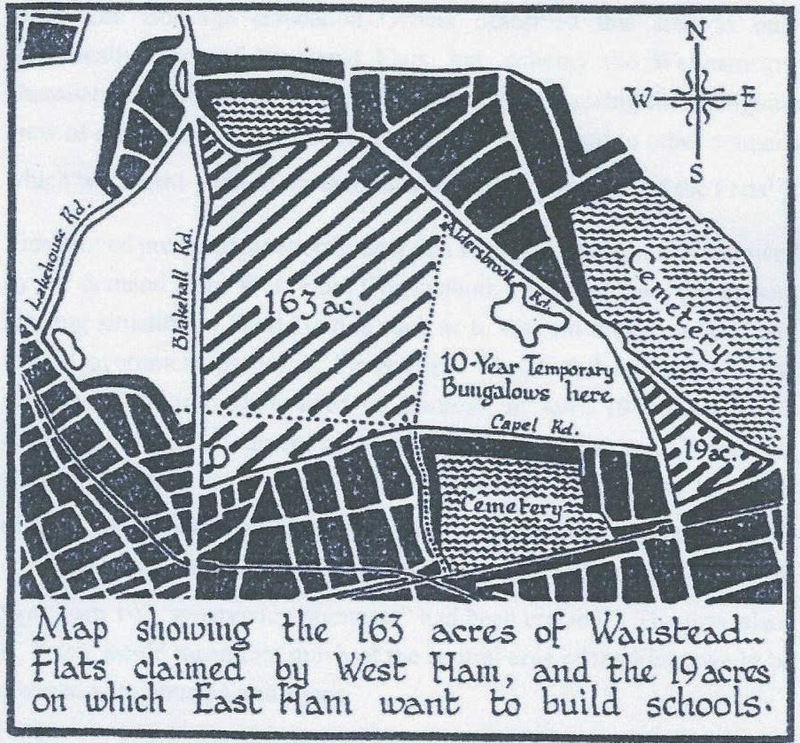 There was a post-war follow-up, however, to the human occupation of Wanstead Flats, which we will detail in next week's blog. Footnote, with grateful thanks to: Behind The Wire: Prisoner of War Camps on Wanstead Flats, pub 2013 by Leyton and Leytonstone Historical Society, 85 Forest Drive West, Leytonstone E11 1JZ, priced £3.00, website. We would very much welcome any recollections or reminisces readers may have about this fascinating episode of our relatively recent history. Please feel free to comment, below, or e.mail.